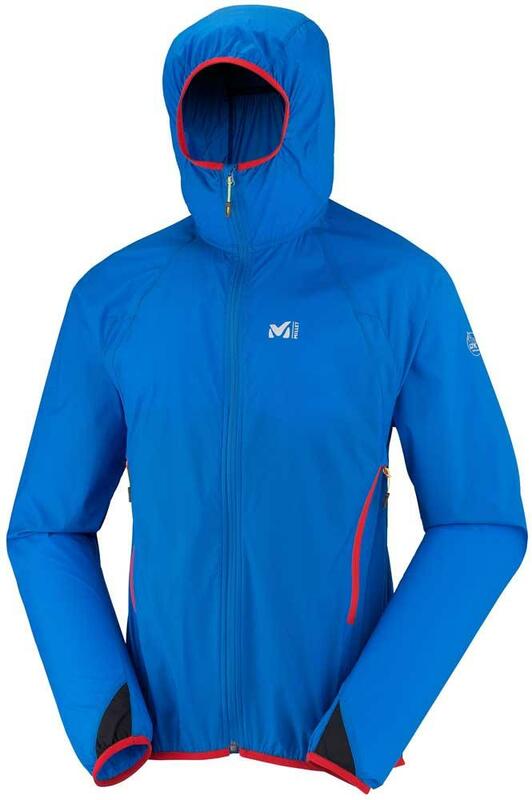 The Men's LTK Stunner Stretch Softshell Jacket is Millet's lightest and most packable shell for fast packing, trail running, and alpine hiking. Apart from offering full mobility, the Toray Stunner Stretch softshell fabric wicks moisture, dries quickly, and resists abrasion for a long-lasting high-quality performance. Millet coated this softshell in DWR to resist moisture and rainfall. Millet designed the LTK Stunner Stretch with a slim alpine fit for weight-conscious mountaineers, and Flex Comfort sleeves ensure freedom of movement. Millet also equipped this jacket with a balaclava hood that stays sleek under helmets, and the handwarmer pockets are accessible with your harness or backpack.